So what about plant milks? It’s thought that a phytochemical found in coffee, called chlorogenic acid 5 , not only reduces blood sugar levels – thus having an anti-diabetic effect, but also helps us to lose weight – thus having an anti-obesity effect, improves endothelial cell function and blood pressure 6 , and has antioxidant properties 7 . However, it’s been shown 8 9 that the more you roast the coffee beans, the more of the chlorogenic acid is destroyed. But what happens when you add cow’s milk to your coffee? It’s been shown 10 3 that tea (black and green) is a pretty healthy drink, partly because it both acts as an antioxidant and is good at improving flow-mediated dilation 11 , that is, it helps blood vessels relax and lets blood flow more easily. In green tea, the important antioxidant polyphenols are called catechins, and in black tea they are called theaflavins 12 . It’s been shown 13 that the addition of cow’s milk to your cup of tea will completely inhibit the beneficial effects on artery function provided by drinking tea without added cow’s milk. Research increasingly reveals14 that consumption of berries can produce significant health benefits, particularly with regard to their powerful antioxidant properties. 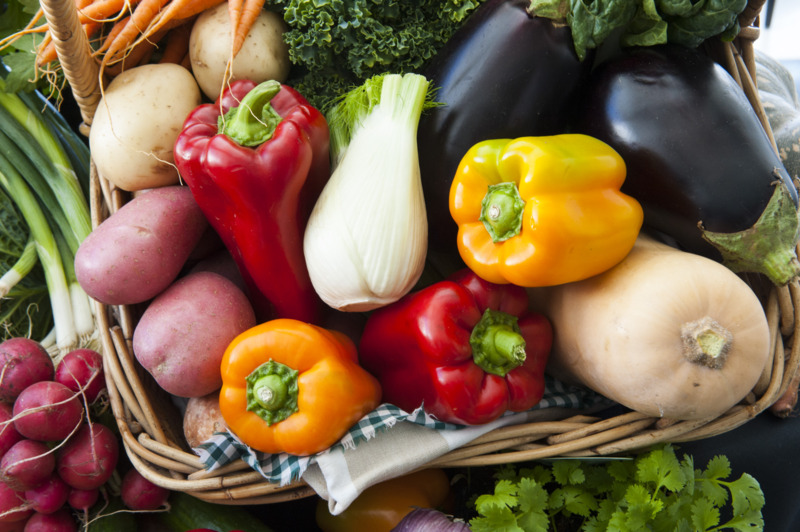 Two of the dietary phenols 15 involved in this beneficial effect are called caffeic acid 16 and ferulic acid 17 . 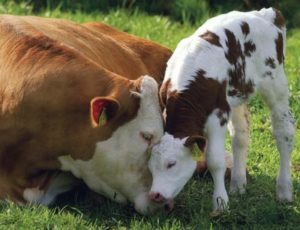 It’s thought that the casein (a protein in cow’s milk) is responsible because it binds to the phytonutrients and prevents them from being available to the body. 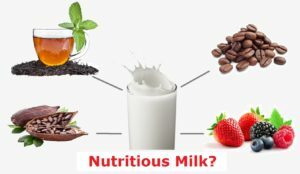 There are plenty of benefits of plant milks (soy, almond, oat, etc), but do they have the same negative nutrient-binding/blocking effect on tea and coffee as cow’s milk? A 2015 study 19 gave us the answer to this question when it tested the results of drinking black coffee against drinking coffee with added soy milk. The above charts show that there was no significant difference between available levels of chlorogenic acids and isoflavones when you consumed black coffee or coffee with soy milk. Although there needs to be further research, similar results would likely be found with other plant milks (oat, almond, etc). It probably comes as no surprise, then, that research 20 shows dark chocolate retains more nutrients than milk chocolate – not simply because there’s a higher ratio of cocoa, which we know 21 is beneficial on its own, but because of the higher level of milk in the milk chocolate. The same nutrient-robbing effect probably applies when you have a glass of milk with your meal, although more studies are needed in this area since, historically, there’s been a tendency to beef up the benefits of cow’s milk, in spite of known health problems associated with it 22 . It’s quite true that there are some downsides to drinking coffee (such as its cholesterol-increasing potential, depending on how it’s prepared 23 ) ; but the upsides make it a useful beverage – when drunk black or with plant milk. Tea is a great drink and there are no downsides worth mentioning that I’ve come across, except if it’s drunk with cow’s milk. And, finally, to berries. There’s nothing but good things to say about them – so long as you keep them away from dairy. They are a central part of Joel Fuhrman’s G-BOMBS 24 and Dr Greger’s Daily Dozen 25 , and that’s good enough credentials for me. I have lots of them every day (taken from the freezer, defrosted in the microwave and added to my morning mountain of fruit and oaty goodness). Next Next post: Onions & Garlic – Better Cooked or Raw? It is most refreshing to know that cow’s milk increases the health benefits of coffee, tea, etc. This I may have knew all along. As a milk drinker this is very good news indeed. I think you misunderstood the research findings mentioned in this blog. The addition of cow’s milk to your cup of tea will completely inhibit the beneficial effects on artery function provided by drinking tea without added cow’s milk.